Are you ready to combine your deep love for coffee with whatever love you have for mushrooms? The new Hifa coffee system from Colombian designer Adrian Perez has brought these two loves together. 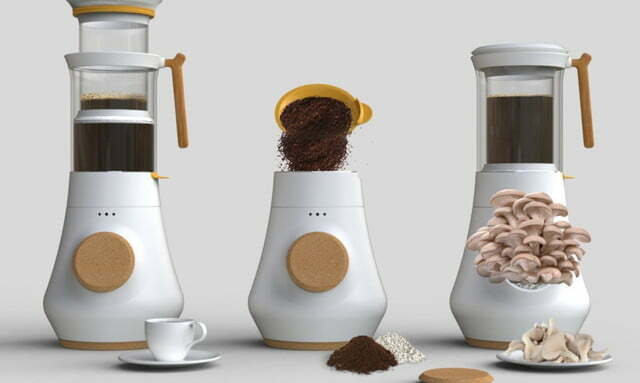 This sleek, adorable little coffee maker repurposes the used coffee grounds to grow oyster mushrooms. 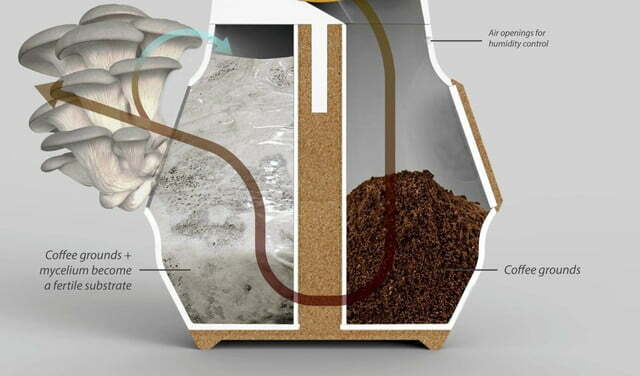 It’s the perfect blend of functionality and convenience that allows you to grow your own organic produce in your home. All this is done in one little machine. The coffee portion of the machine works similarly to a French press, whereby the ground steep in near boiling water before a plunger descends and squeezes all the liquid out and leaves behind the grounds. 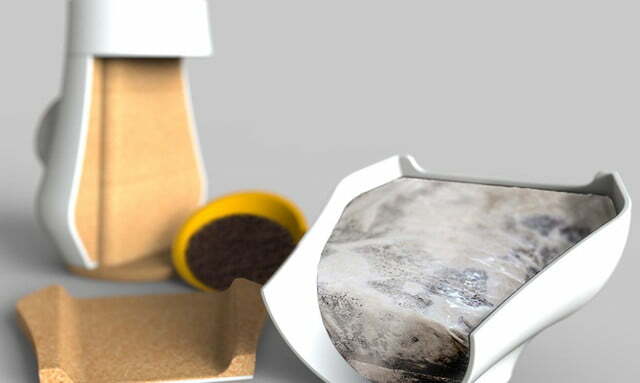 The design allows for the removal of a carafe that is filled with delicious fresh coffee, while the grounds are left behind in their own little cup. 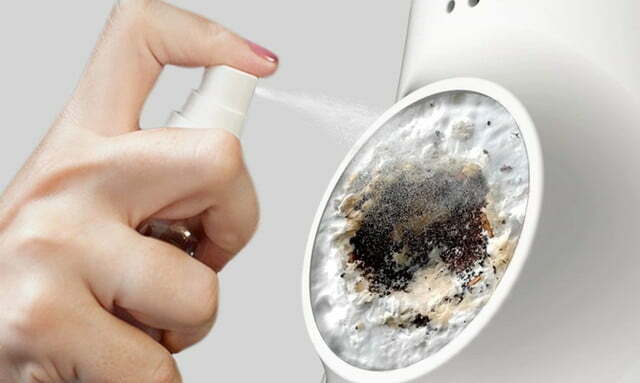 These leftovers are then transported to the front portion of the device and mycelium (mushroom seed) is added. After that it’s a simple process of occasionally spraying the grounds with water and waiting for your little mushrooms to grow. The mushrooms sprout of the side of the petite device. All this promotes a culture of recycling and use of locally sourced ingredients. It couldn’t get more local than the Hifa system, after all. Once the mushrooms have been farmed, the machine makes it very easy to break down and transport the nutrient-rich grounds. They can then be reused a third time as fertilizer for other plants. 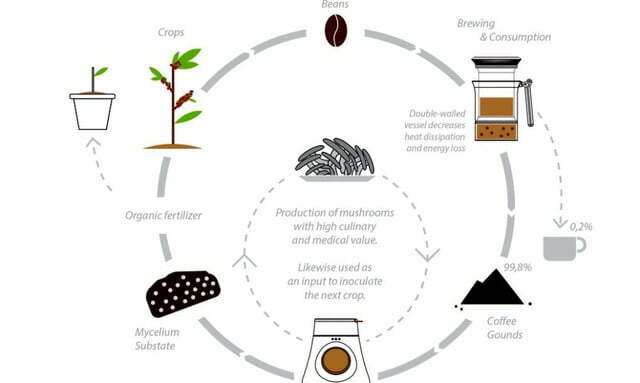 Using coffee grounds to grow mushrooms isn’t a new concept. It’s actually the perfect substrate for growing delicious fungi. And in a caffeine-driven world, it is an easy-to-find material. While the grounds that you get from an espresso machine are considered better since the steam sterilizes the grounds, many farmers have used home-brewed coffee with great success. The HIFA system stresses the reuse of ingredients, and it makes that process very simple to do.